Since then, I can’t say I’ve read many high classics of the genre (War and Peace: bought, never opened), but thanks to writers like Sebastian Faulks (Birdsong), Marcus Zuzak (The Book Thief), Khaled Hosseini (The Kite Runner), Ian McEwan (Atonement), and Jung Change (Wild Swans) among others, I’ve picked up the odd insight into wartime France, the fall of the Afghan monarchy and Mao’s impact on China. Not bad for the bottom of the history class. At the Pescara Festival of Literature this weekend, local historian and writer Marco Patricelli hit the nail on the head: history doesn’t have to be boring, he said, it just depends on how well (or poorly) it’s written. So that’s the secret. If you love history and you want to share it with history hung-up people like me, then you have to make it into a grab-me, read-me, can’t put it down kind of story. Hide the history in a strong character and an unexpected plot twist. So, a good story can take all the mystery out of the history. But what if an author could actually put some mystery back into the history? That would be a literary win-win as far as I’m concerned. Where would I find that, then? An unsolved mystery, a specific historical period, fictional characters and a thrilling plot…..
Ahh, that would be at the Pescara Literary Festival. 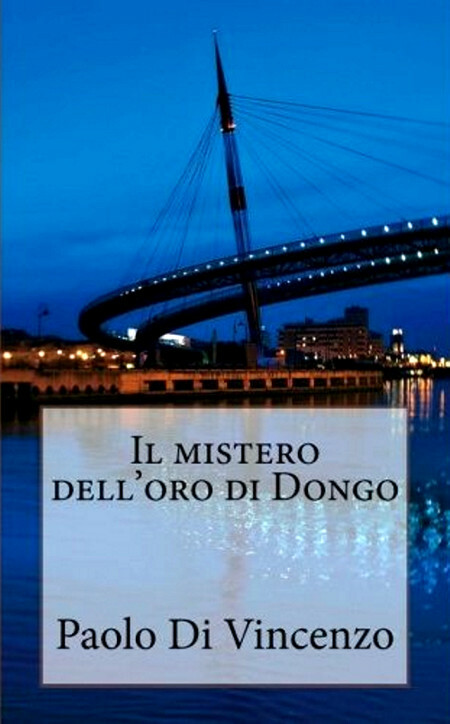 Il Mistero dell’Oro Di Dongo (available in Italian here) by Paolo di Vincenzo. There are three important things to say about this story. Firstly, it’s got lots of history. It describes in detail Mussolini‘s attempt to flee to Switzerland in 1945 and how, while en route to board a plane, the dictator and his mistress Claretta Petacci, were captured by Italian partisans and shot to death. Secondly, it’s jam-packed full of mystery. Who really ordered the shooting? Why? What happened to all the papers, gold, money, and more importantly, the personal diaries that Mussolini was supposedly carrying with him when he was captured in Dongo, on Lake Como? What was in the correspondence and why could it never be made public? How much gold was Mussolini actually carrying? Where was it hidden? What did Churchill have to do with it all? Or even Gabriele D’Annunzio for that matter? Thirdly, if that hasn’t piqued your curiosity, then how about yet another great thing about this book.. it has a real gem of a story. And this is where the suspension of disbelief begins… the bit that gets people like me hooked and lets the author sneak past all sorts of documentary evidence, names, dates and biographical information, without you realizing it. A journalist, his historian wife and a police chief friend are dragged – by some very shady, low-life characters – into a potentially violent plan to find Mussolini’s hidden gold. Danger is around every corner, and as the trio move from Pescara to Gardone, on Lake Garda, from press room to police station, and from unraveling riddles to reading historical essays, the dialogue-driven narrative and frequent use of regional language, draws the reader into the drama to the extent that the characters and the plot (the only invented parts of the story) actually feel quite real. Multiple mini storylines come together in an unexpected finale, to make this book a fine example of historical, action-packed fiction. In the words of another successful local author – Giovanni D’Alessandro – who presented Il Mistero dell’Oro di Dongo at the Pescara Literary Festival, this is a book that doesn’t need any money-back guarantees. It’s alive, it’s engaging, it’s one you simply have to read!